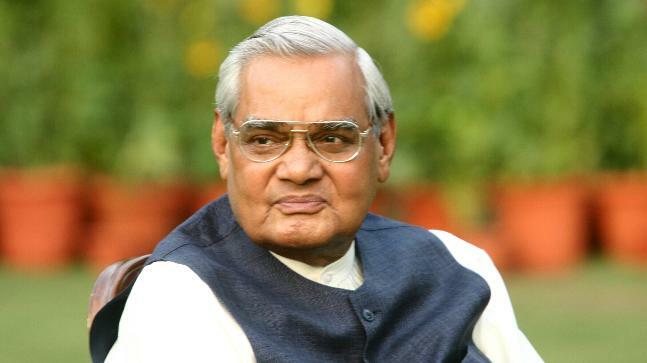 Atal Bihari Vajpayee is no more. He lived a complete life and was inactive for nearly a decade. The end came around 505 pm in the evening though speculations had been in the rife for the last two days. He was known to be a great speaker as most of his speeches which were laced with wits and humors but not much in substance, particularly in Parliament yet he was a man who any one could meet and share his ideas with. More than a prime minister of India, Vajpayee would be remembered as a parliamentarian who enjoyed a good repartee with political leaders across party lines and all of them did not become his enemy when he was in power, just because they were his opponents, as happening today. I had opportunity to listen to him on two to three occasions during my student days and always felt that though there was wit in his speeches, the contents always missed. Vajpayee was not happy with Modi’s dealing with Gujarat riots and asked him to follow the Rajdharma or quit but the BJP high command instigated and controlled by Lal Krishna Advani did not agree to that. It was Advani who wanted to come out of shadow of Vajpayee in 1990 and started the Somnath-Ayodhya yatra though Vajpayee remained helpless in the party that time and allowed things to worsen including justifying the Ayodhya campaign though when the Babari Masjid was demolished, he was not there and expressed ‘grief’. Many people suggested he was right man in wrong party but people like us felt that he was ‘Right’ man in ‘Right’ party. He might be a ‘liberal’ in personal life but not really in political thoughts. One of the hallmarks of great orators is always the rhetoric and big jargons and Vajpayee was no exception to it. Vajpayee lived an unorthodox life though the party and organization that he belonged to would not have allowed others to do the same as they all ‘championed’ ‘swadeshi sanskriti’. He himself described many times how he might not be a married person but not necessary a bachelor. During Morarji Desai’s tenure when Atal Bihari Vajpayee was the foreign Minister, the darling of Sangh Parivar today, Subrahmanyam Swamy actually campaigned against him and complained to the prime minister too. Atal Bihari Vajpayee was not the greatest statesman, not a quality poet but he was definitely a seasoned political leader who we could talk and speak unlike the megalomaniac of the day. Political relations had not worsened during Vajpayee’s tenure as they have happened today. He was still far superior and better than leaders of current dispensation. Vajpayee was not well for years. He was virtually out of parliamentary life after demitting office but the way his health was kept secret and people visiting him were never allowed to be photographed with him, was a sad reflection. People have a right to know about the leaders and their health as the money spent on their ‘well-being’ comes from the exchequer’s funds. For the last two days there have been rumors across the social media about his death but government never bothered to clarify its position. Sad that this secret continue to be kept and maintained by the government which is reflective of the nature of things happening today and how media is being controlled and managed. The way electronic channels have been left out to promote irrationality and brahmanical superstition pending to Vajpayee’s death is shameful. We all have to die and Vajpayee was at his fag end so why this pray for health, vajapyee ke swasthya ke liye uthe karoro haath, haar nahi manuga and all those stupid headlines that makes people irritant. Everywhere there was rumor that he had passed away yesterday only but the government did not think it proper to clarify it. If his health deteriorated yesterday in the morning why it was hidden from the media just to ensure that Red-Fort speech go uninterrupted. It is sad reflection of today’s manipulative politics. As a prime minister he failed to control intrusion in Kargil resulting in a huge loss of life of our brave soldiers. He had the dubious distinction in dismissing the naval chief Admiral Vishnu Bhagwat. His HRD Minister Murli Manohar Joshi was hell-bent to bring saffron influence in education and his foreign minister Jaswant Singh went to Kandahar with money and an arrested terrorist to get the IA 184 flight back to India after the terrorists had demanded money and release of their leader. The nuclear test is hailed as a great success story of the government but the fact India lost face internationally and it impacted our economy. Anyway, he was plainly following the Congress government’s foreign policy in this regards. Atal Bihari Vajpayee’s biggest failure was his inability to get the resignation of Narendra Modi from the chief minister of Gujarat in 2002d in the aftermath of the riots and his famous Rajdharm quote, which was nothing but an attempt to keep his liberal image intact. It did not help as Advani continued to dominate in the political decision making of the party. He could have saved India from disaster if he had asserted and not allowed over ambitious Advani to do things at his whims and fancies. Advani lost everything. The person he nurtured and protected today does not find time to even greet him but Vajpayee remain guilty of not speaking and taking stand against his own colleague spilling venom against minorities. Somewhere he was part of that Sanghi led narrative of liberal verses hardliner which emerge every time there is a leadership crisis in the party. Though he could be called one of the finest orators and parliamentarians yet he was never a great prime minister even when the Sangh Parivar and the paid media might hail him to the greatest heights but he was definitely not an autocrat or dictator, democracy never felt threatened under him as we are witnessing and feeling today. While the current dispensation will use him but never miss him, all those who believe in democratic polity will definitely miss him. In his death Atal Bihari Vajpayee is liberated from the pains and sorrows of life that he had been facing for the past one and a half decade. We have lost a great human being and a politician of an age when differing viewpoints never meant being anti-national. Whatever people rank him as a prime minister, to be fair to him, he was the greatest of the leader from the Right Party where space for discussions, differences and dissent is fast decreasing and politics has become an art of ‘management’. One thing is sure, if Vajpayee were active politically, he would have never kept his voice silence on the politics of BJP today, the incidents of lynching and demonization of Muslims. Unlike the painful silence of Advani and Joshi, he would have spoken against it. Most of those ‘liberals’ in BJP who proudly swear by Vajpayee have very conveniently adjusted to the thoughts and actions of the current dispensation which were definitely not the same.